Do-it-yourself work is great when you want to save money, and it often turns out to be easier and cheaper than you realized. Painting the inside of your home, adding a tile backsplash to the kitchen, or fixing a squeaky door are all admirable projects to take on. But there are also those projects that are simply best when left to a professional, such as fixing a busted computer, replacing an air conditioner, or doing major plumbing work. Of course, plumbing problems may not always require a plumber’s help. 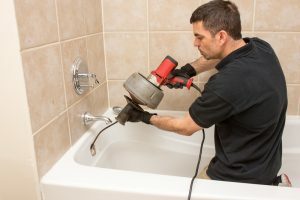 Something as simple as a drain clog, for example, may seem best as a DIY project. But is this always the case? We compare at-home solutions to professional drain cleaning in the guide below.